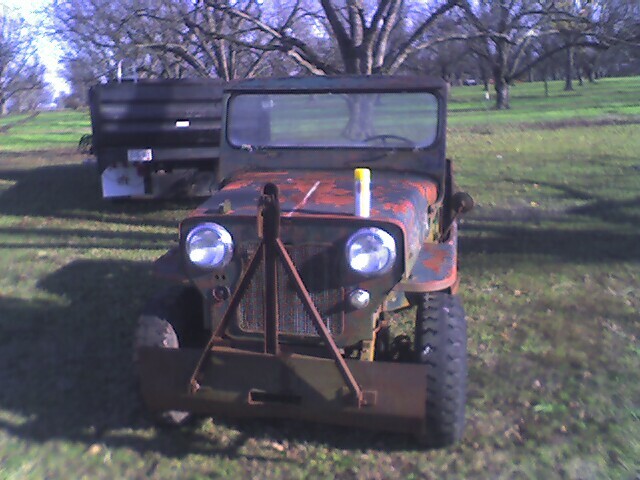 This is my Heep I mean umm Jeep. 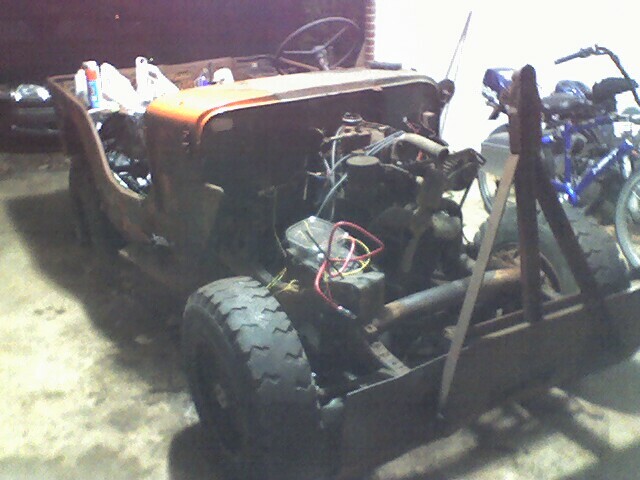 It is a 1953 CJ3-B. The two pictures on top an the one on the left are from th day it was purchased. 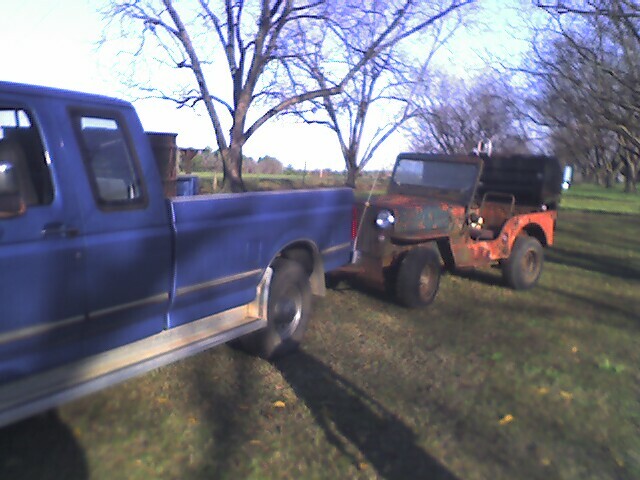 Special thanks to Allan for towing the Jeep home. Directly under neath is the 3B as I am tearing it down under my car port and bottom left is my grill. 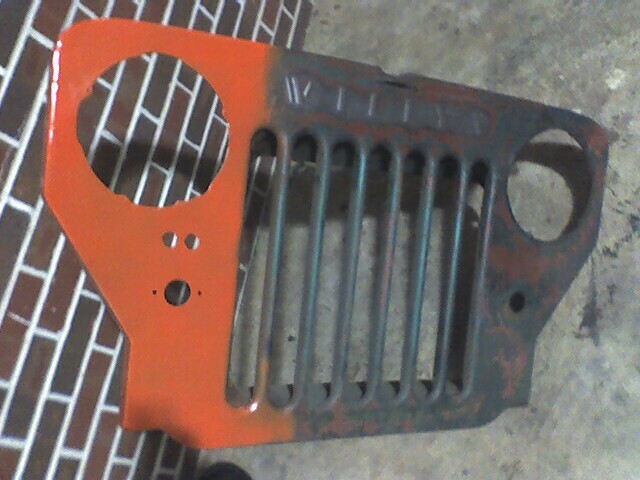 It is one of the few things in good shape (save the paint). What do you think about the pumpkin orange. I always wanted to have a vehicle with a loud paint job and with the 3B I can't go fast enough to get pulled over for speeding. 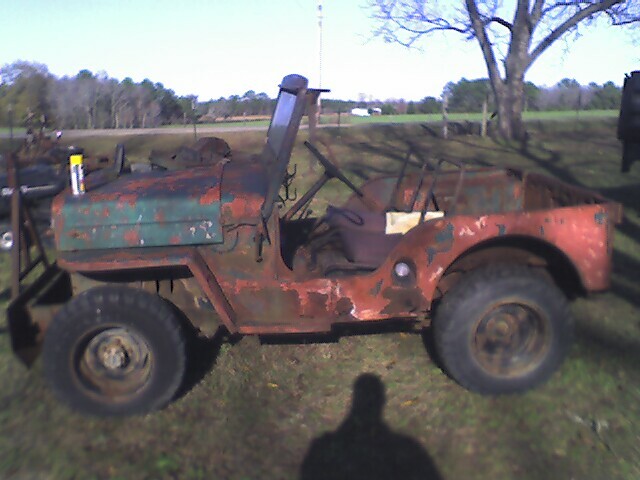 Since most of the Jeep is bondo and rust. 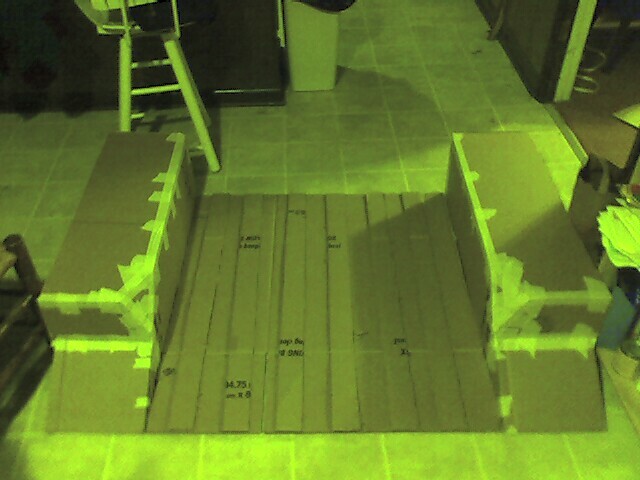 I am working on building a fiberglass tub from scratch. 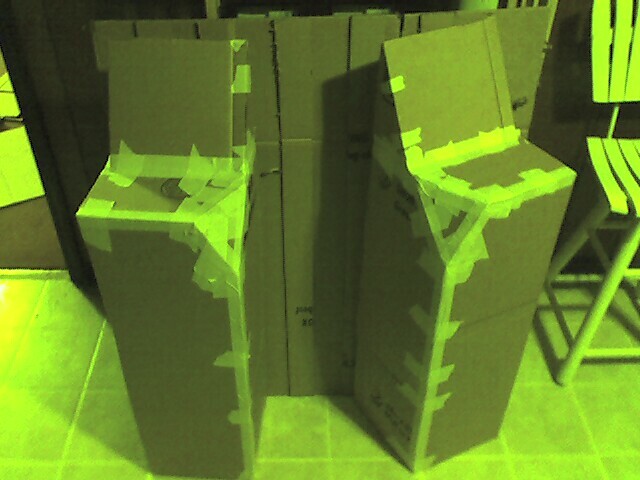 My first attempt is above and to the side are the positive mold for the bed and wheel wells. 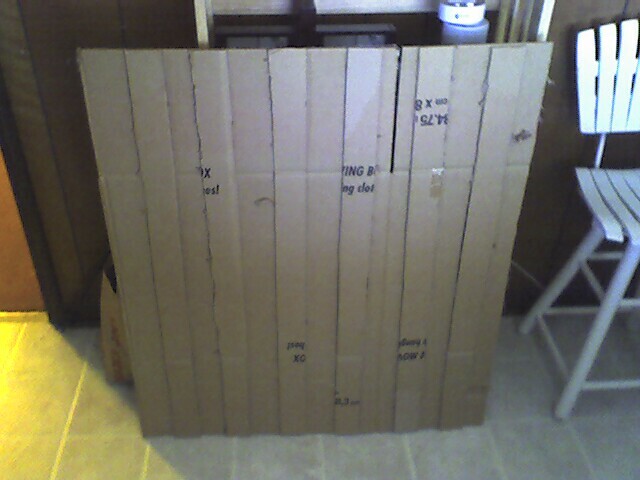 The use of cardboard in South GA is not such a good idea unless you have a climate controled area to work in so here is my second attempt.